The second annual exhibition of The Grateful Dead Archive is now open to the public at UCSC’s McHenry Library. Songs of Our Own: The Art of the Grateful Dead Phenomenon features more than 158 primary works, plus 110 digital images, with signature pieces by band members Jerry Garcia, Mickey Hart, and Bill Kreutzmann, as well as works from numerous Deadhead artists. The exhibition is curated by UCSC’s Grateful Dead Archivist Nicholas Meriwether. Documenting the extraordinary art that celebrates the band, the works range from Garcia’s student days at the California School of Fine Arts, to the poster renaissance of Haight-Asbury in the 1960s, to the increasingly sophisticated art created by both fans and band members over the past four decades. 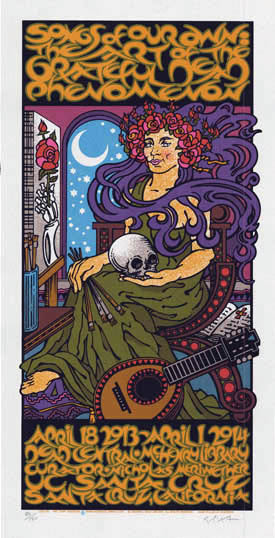 “In 2003, lyricist Robert Hunter wrote that ‘I’ve come to realize that the art movement that accompanied the rise of the Dead is as much a part of what we became in the public eye as the songs and our playing of them,’” said Meriwether. “This exhibit shows how that remarkable art informs the Grateful Dead phenomenon and helps define its significance. 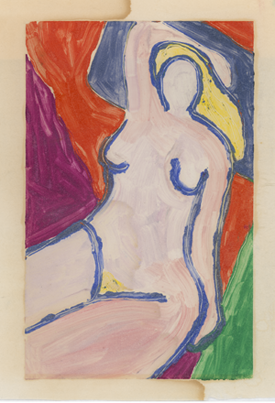 “The art they produced is a window into American culture—an extraordinary body of work that challenges how we understand the protean fusion of high art and folk art that has become one of America’s greatest gifts to the world,” Meriwether added. 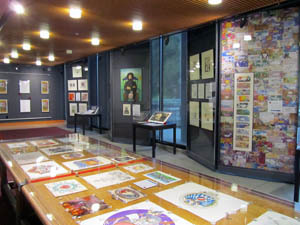 Works on display include an unpublished Jerry Garcia monoprint that has never before been publically exhibited; a mixed media piece by Mickey Hart titled Where Angels Fear to Tread; a lithograph titled The Summer of Love by Wavy Gravy (contributed by Meriwether); Stanley Mouse’s Phil Lesh Workingman’s Dead Portrait; Bill Kreutzmann’s Egg of Life, giclee on canvas; Wes Wilson’s lithograph Bill Graham 51; and and four pen-and-ink cartoons by band lyricist Robert Hunter." The Brittingham Family Foundation Dead Central exhibition space is located on the main floor of UC Santa Cruz’s McHenry Library, just inside the front door. Dead Central is open to the public during normal Library Hours.